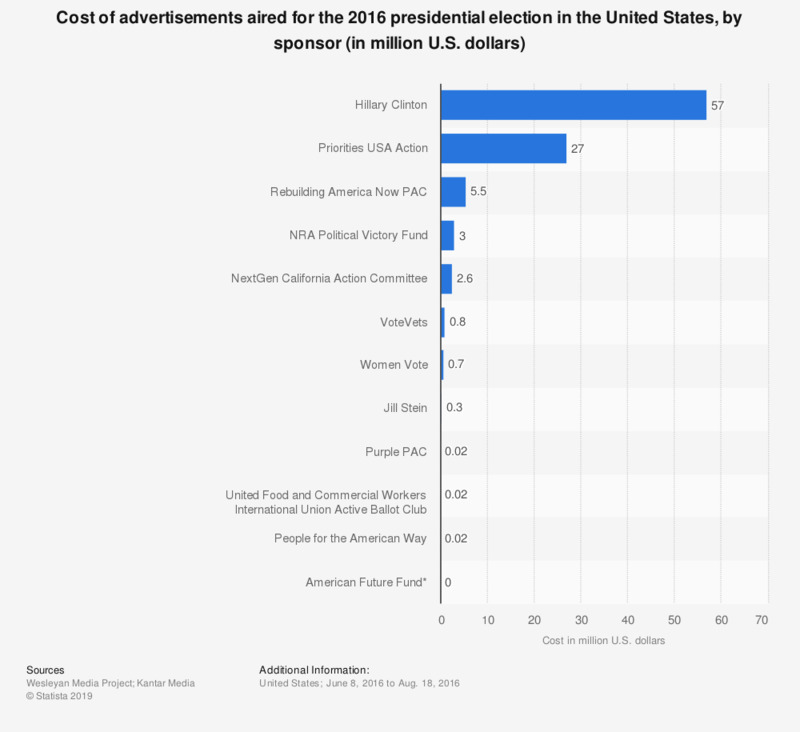 This statistic shows the cost of ads aired in the 2016 United States presidential race. From June 8, 2016 to August 18, 2016, ads sponsored by Priorities USA Action cost an estimated total of 27 million U.S. dollars. * The estimated cost of presidential race ads sponsored by American Future Fund in the specified period was four thousand U.S. dollars.